We're once again working with BASC in partnership to deliver a two-day course to help improve shoot management and shooting skill. The course will be taking place at our Allerton Project in Leicestershire on 26th and 27th September and will be delivered by experts in their field, based on up-to-date research and current good practice thinking. The course will be divided into two days: the first will concentrate on shooting techniques and the second day will focus on modern shoot management activities. interactive sessions discussing wounding loss in the field and factors responsible for poor shooting. practical activities including shooting skill exercise, range-judging and patterning workshop. advice from BASC shotgun coaches who will spend two to three hours with each group working on individual shooting skills. presentations explaining guidelines that help shoots maintain health and welfare of birds, ensuring good returns and high quality sport. afternoon visit to a working shoot, to see hands-on how to put guidelines into practice. 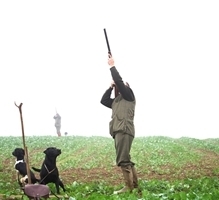 Each day can be booked for just £65 if you are a GWCT or BASC member (£100 for non-members) or both days can be booked for a special discounted rate of £120 (£170 for non-members). All fees include the cost of clays, cartridges, lunch and refreshments. Please contact Lynda Ferguson on 01425 651013 or at advisory@gwct.org.uk if you wish to book for a special discounted rate.